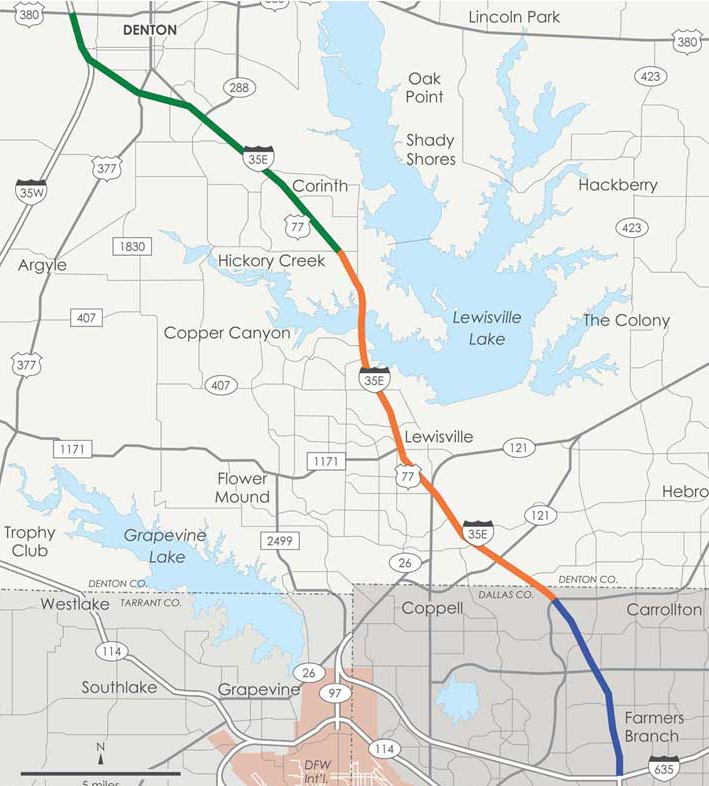 The IH35E is a design build project stretching from the 35E / 35W splint in Denton Co. and extending to IH 635 in Dallas County. This project will consist of rehabbing the existing roadway and adding HOV managed lanes. MICA’s scope of work for this project includes all of the small roadside signing, overhead sign structures and signs, roadway and high mast illumination, Traffic Signals, Decorative illumination and signing at the FM 407 interchange, ITS package including the Dynamic Message Signs, Cameras and Camera Pole Structures, Vehicle Arresting Barriers, Automated Barrier Gates, Variable Toll Rate Message Signs, RVSD and Structures, and close to 90 miles of underground fiber optic cable.